When the Giants hosted the All-Star Game in 2007, I was living in New York at the time. I missed out on it. I love the All-Star Game and I would have attended that one. But that chance was gone. Now it’s announced that the All-Star Game is back on the West Coast and I actually am close enough to attend. Living in Southern California has some perks and one is that I am only a two-hour drive away from San Diego. I could very easily go to San Diego and catch the home run derby and the All-Star Game. Petco is a great ballpark. 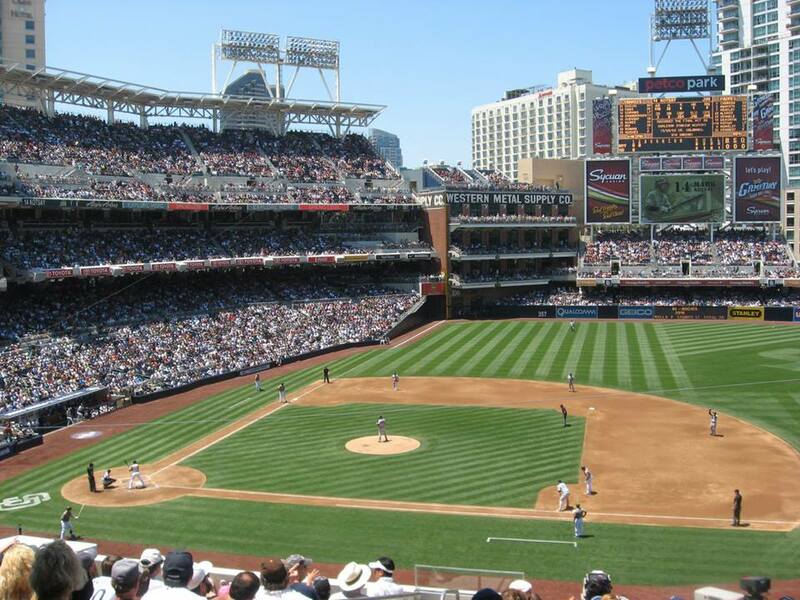 I have been to about 10 MLB parks in my lifetime and Petco Park is my second favorite (behind The Jake). It’s in a beautiful city, great view. The atmosphere is relaxing and there doesn’t seem to be a bad seat in the house. It’s a perfect stadium for baseball. This is still a long time ahead from now and who knows if I would still be in SoCal. But if it’s possible, I’m going to the All-Star Game. This entry was posted in All-Star Game, MLB, San Diego Padres and tagged MLB All-Star Game 2016. Bookmark the permalink.